We used Amanda six years ago when we bought our condo. After we moved here full time, we asked Amanda to help us sell the same condo. After working through a myriad of problems thanks to Amanda, the condo sold. She is steadfast, calm and determined. We couldn't ask for a better experience. If we decide to buy or sell again we will definitely use Amanda. We have worked with Amanda on multiple purchases and she has always been very helpful and knowledgeable! She was always available to help answer questions. I would highly recommend her to a friend. What a Blessing it was to finally find Amanda Corbin. We began our search for a home and started picking agents by luck of the draw because we are new to the area and didn't know anyone. I fired 4 agents. Then we found Amanda. She took our home buying experience personal. Took as much time as we needed. Answered all our questions honestly. Her integrity is what impressed me most. She always returned calls, texts, and emails in a very timely manner. She quickly learned what we wanted and we bought the house we were looking for in the price range and in the area we wanted. I cannot say enough nice things about her. I would definitely recommend her to buyers and sellers. She made the experience better. Look no further. Amanda Corbin is what you are looking for. Amanda did an excellent job representing us for the sale of our house. She is very friendly and quick with communication. She sold our house the same day it listed! She's an excellent agent. Amanda came to us the day after I'd notified her office the night before via email. She came well prepared with a booklet of information about our condo (comparables, photos, etc.) and with a pleasant demeanor. We decided on the spot to list with Amanda. What a go-getter! She immediately listed our condo on every social media venue possible. In less than three weeks we had accepted a cash offer and had closed. We highly recommend Amanda Corbin. Amanda provided great guidance and was very helping and proactive in the whole process. She has a great deal of experience and made sure that I was fully covered in every aspect. As a first time home buyer I would recommend Amanda to anyone interested in the area without a second thought. AMANDA WAS ALWAYS RESPONSIVE AND WILLING TO CHECK-OUT ANY HOME THAT INTERESTED US....SHE MADE ALL THE CONNECTIONS FOR PROCESSING OUR PAPERWORK, AND KEPT US IN THE LOOP..
Amanda was god sent, she made the whole process easy and painless. She got back to me in a timely manner and even just to answer my silly questions. She keep me informed about everything. Love that! Thouroughly knows the area & market and uses it to the advantage of her clients. Very nice, always responds to every question in a very timely manner. 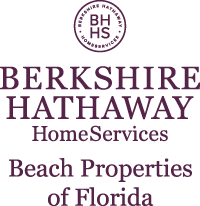 Would recommend for a real estate agent in the Panama City Beach area! I was out of town for my closing in Panama City and everything was handled for me - Amanda is so organized! I would highly recommend Amanda - she even answers my questions after the sale! I have bought and sold several houses in 3 states. Amanda is by far the best realtor we have worked with. She returns every phone call the same day and responds to every email. Amanda spent three weekends with us showing 32 properties over a 3 month period. My wife was living in another state while I relocated here to start a new job. During that time Amanda sent my wife videos of nearly all the houses we viewed. When we decided to make an offer Amanda did an exceptional job with the negotiations. We ended up purchasing a foreclosure, Amanda navigated the foreclosure process with ease and confidence. Amanda ran comps and provided research that helped us make sound financial decisions. There are few realtors that works as hard as Amanda does. During the closing process Amanda was always ahead of the seller. I explained to Amanda that I needed to be closed by Dec 15th because I had my move scheduled. Amanda and MJ managed to close a Fannie Mae Foreclosure in 28 days. That does not just happen. I can not thank Amanda enough for showing houses constantly and ensuring my wife had good pics and video to help me make a Decision. This was by far best home buying experience we have had. We found Amanda Corbin to be professional, punctual, and clearly represented our interests well. I would recommend her to anyone. We live in Monticello, FL and our condo is in Panama City Beach so we relied on Amanda to handle everything including scheduling our part of the closing early for our convenience. Great experience with Amanda Corbin. She helped me find the perfect house for my family at a great price. She made the whole process fun. She paid attention to my desires and needs for a house. She negotiated with great skills to enable my family to obtain our house. To be able to find and purchase my house was such a blessing. The feeling of holding the keys is forever engraved in my mind. Amanda Corbin was extremely helpful and professional in selling our home. Due to military orders, we moved out of state which made it a bit harder for us to keep up with what was going on with our house. Amanda went above and beyond in the selling process to get everything where it needed to be and to get our house sold. Amanda eagerly worked with us to sell our home, The flyers she prepared were attractive, informative, and worked well within the limitations we placed on our listing. She provided wide exposure on the Internet and coordinated with local realtors to market and show our listing. When an offer came in, Amanda worked with us to negotiate a satisfactory contract. We had very little to do going into closing since Amanda coordinated the home inspections and closing requirements. Whether you're looking for your first home or transitioning to a new one, we recommend Amanda who has proven to be a very pleasant, knowledgeable, and responsive Agent. Amanda always responds quickly to inquiries. She has a great knowledge of Real Estate. She is very professional and always helpful. She is someone that I could relate to as a buyer and a person, Great attitude. Amanda went out of her way to help us buy our home in Panama City Beach. We are relocating from Kentucky and most of our paperwork had to be handled via the internet. Amanda did an excellent job of working us through the process. I would highly recommend her to anyone looking for property in this area. Working with Amanda Corbin was a very stress-free, enjoyable experience. She is very professional and was able to assist with the many questions we had. Amanda helped us to find a great investment property in Panama City Beach. She was very knowledgeable about each condo complex that we visited, which helped us to make a decision. She was impartial to all the condos we looked at, allowing us to come to our own decision. We only had three days to view several condos, make a decision, and put together an offer before returning north. Amanda made herself available to us since we had a limited schedule. After returning home we still had questions and had to go back and forth with negotiating a price. Amanda helped with this process, and continued to answer questions. Our settlement was done long distance, and once again depended on Amanda to be our eyes and ears in our physical absence. She assisted with the settlement, and final details after settlement. Amanda was able to suggest a bank for financing, as well as a management company to manage our rental property. Thank you Amanda for all your hard work! Amanda was very professional and polite. She had a great, cheerful personality and worked hard. She did her research and showed us just the type of units we wanted to see. She was quick to respond to questions and when the answer was not obvious, she would chase down the answer and give us a meaningful response . She advised us about many relevant aspects of the Panama City Beach real estate market that were very helpful to us in making a decision.We never felt like she was pressing us to make a decision and only wanted what was best for us.We would definitely use her again. WE HAVE BOUGHT 3 CONDOS IN THE PANAMA CITY BEACH AREA AND CURRENTLY HAVE 1 LISTED FOR SALE WITH THE HELP OF AMANDA AND WE COULD NOT ASK FOR ANYONE TO BE OF MORE HELP THAN AMANDA TO BUY OR SELL A PROPERTY. I met Amanda in April looking into buying a Condo in Panama City Beach Florida. She took the time to show a significant amount of Condos with in hours of meeting her. The search took some time as I needed to become aquainted with what was available and what I wanted. The search exceeded my two week stay and she continued the search in my absence. With her help, I entered into a contract for the purchase of a condo, but the seller refused to honor the contract. Amanda continued the search and three weeks later I closed on a condo. I was unable to return to Panama City so I closed based on pictures Amanda took and her review of the property. I finally was able to return the last week of August and the Condo is better than I expected. I feel that Amanda did a highly professional job, represented my interests and was willing to present offers that made sense from my prospective. She was the 2nd realtor that we used when we were first on the market to buy a condominium in Panama City Beach. Our first realtor was making us do all the work and kept trying to push houses on us when we specifically told him we wanted a condominium on the beach or nothing. We finally decided we would move on to someone else. We approached Amanda, told her our wants and needs and she went above and beyond the call of duty to help us get exactly what we were looking for. She even helped us get our condominium complex VA approved! The first on the beach in Panama City Beach (on the beach)! We were so pleased that four years later we didn't even consider someone else when we decided to sell our condominium since we are being relocated with the military. She has been very patient and responsive to all of our questions, which have been many since I've never bought or sold a property before. I definitely recommend Amanda (have already to all our friends)! You won't be disappointed!! love having her to work with for all your real-estate needs.